Lately, it seems like every couple months, Fujitsu has a new product release. Their dedication to innovating, implementing, and improving new comfort concepts keeps their product catalog fresh and ensures that homeowners are getting the absolute best. The AOU18RLXFW and AOU24RLXFW mini split outdoor condensers have been discontinued but the ASU18RLF and ASU24RLF wall-mounted mini split indoor units that formerly paired with them aren’t going anywhere. These indoor units are compatible with the new AOU18RLXFW1 and AOU24RLXFW1 outdoor condensers. These new models feature the same support for extra-long linesets as previous models, making it easy to work these systems into any application. The main differences between these new systems and the prior models can be seen in the efficiency numbers and operating range. The old models had SEER ratings of 19.2 and 18.0 and a 10.0 HSPF rating. The new condensers bump these numbers up a bit to 20.0 and 19.5 for SEER and 10.5 and 10.6 for HSPF. Both of the new systems can maintain heating or cooling operations in conditions as cold as -5 degrees Fahrenheit whereas the old ones had limitations between 0 and 14 degrees Fahrenheit. Like the RLXFW systems, these RLXFW1 systems are Energy Star listed. The other new systems from Fujitsu are also wall-mounted single zone models, however, these aren’t replacement systems. 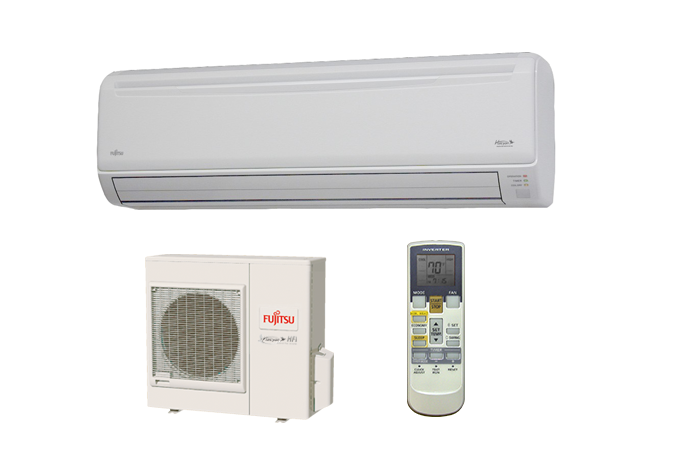 The 18RLXFWH, 24RLXFWH, and 30RLXEH are the newest additions to Fujitsu’s low-ambient heating XLTH line. The 18,000 and 24,000 BTU systems use the same ASU*RLB indoor units as the RLXFW1 systems above while the 30RLXEH features a brand new ASU30RLE indoor unit. All three systems have new condensers. These new XLTH systems are perfect for larger applications. The RLS3H line, Fujitsu’s only single zone XLTH systems prior to this release, topped out at 15,000 BTU. While the efficiency ratings for these larger units are a bit lower, they’re still good enough for an Energy Star listing. SEER ratings are between 18.7 and 20.0 while HSPF ratings are between 11.7 and 13.0. Just like the RLS3H series, these systems can provide the full rated heating capacity in outdoor conditions as cold as 5 degrees Fahrenheit and they maintain operation all the way down to -15 degrees Fahrenheit. Between their commitment to expanding the XLTH line and the efficiency upgrades to their older models, it’s clear that Fujitsu cares about what’s important to customers. Please note that these new wall-mounted systems will be non-stocked items at Able Distributors. If you’d like to order one, just let your salesperson know!